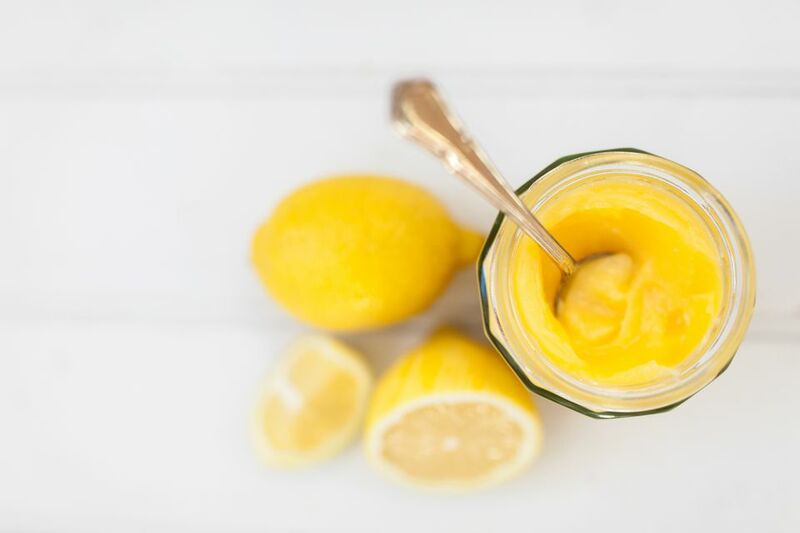 Traditionally, lemon curd is a lusciously thick and rich spread. And no wonder: it's full of eggs and butter. So with fewer eggs and no butter, here's a quick and easy light lemon curd that makes a great filling for mini phyllo tart shells, or a deliciously sweet yet tart spread for whole-grain toast. Place strained lemon juice and sugar in a small saucepan. Heat on low and stir until sugar has dissolved. Lightly beat egg in a medium bowl. Remove lemon syrup from heat and pour slowly into beaten egg while stirring the mixture with a whisk. Continue to whisk by hand for one minute. Return mixture to saucepan; add lemon zest, and heat on low until it thickens―about two minutes. Remove from heat. Transfer to a container and cover (to prevent a skin from forming), then refrigerate. Makes 1 cup of low fat lemon curd.